Auditions are held annually in September/October in New Zealand and Australia. Successful candidates will join the course the following January. You must apply online to audition and there is a fee to attend the audition class. International students and applicants who cannot attend in person may apply by video audition. If you have any further enquiries, please contact our School Administrator. Applications to audition open 25 June 2019. Students are usually 16 to 18 years old when entering the full-time course. Exceptions may be made during the audition process. 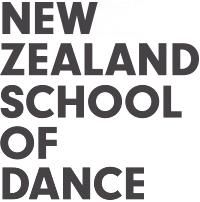 Preference will be given to students who have attained NCEA Level 1 (Yr 11 NZ or Yr 10 Australia) and who have reached a level in classical ballet equivalent to RAD Advanced 1 (IDTA Advanced level 1, BBO Advanced 1, Cecchetti Advanced 1, BAL Intermediate). Students are required to understand conversational English. Students who have a level of English lower than B1 of the CEFR must undertake an English language course before arriving at the School. We encourage those considering applying to observe classes at the School.